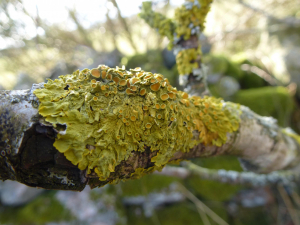 Observation - Common Orange Lichen (Xanthoria parietina) - UK and Ireland. Description: Found growing on a Rowan (Sorbus aucuparia). Found growing on a Rowan (Sorbus aucuparia).